The Camden County Public Library welcomes children of all ages to use its facilities and services. In an effort to ensure the safety and well-being of the children and maintain an atmosphere of constructive library use, the following policy regarding appropriate use of the library by children and their caregivers has been adopted. Children ages 7 and under must be accompanied by a responsible person at all times. If the child is attending a library program, the responsible person may not leave the building. The responsible person must be 13 years old or older. Children ages 5 and under may not use a personal computer unless accompanied by a responsible person. The responsible person must be 13 years old or older. A child under the age of 18 with no means of getting home when the library closes is a stranded minor. Fifteen minutes after the library closes to the public, the police will be called to take custody of the child. If you live in a member community you are eligible for a free library card. You can either stop by your local branch with identification that has your address on it, or you can apply online and get a new card mailed to you. Apply for a library card online. 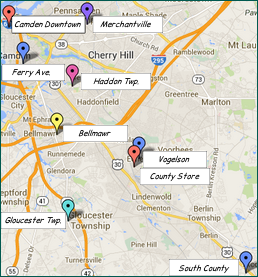 The library system has eight branches located throughout Camden County. Get directions. 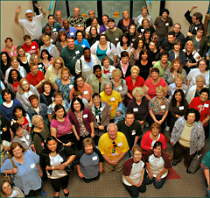 Our entire staff is here to help! Get the answer to your question in person, by phone, or email. You can also schedule one-on-one time with Assistance by Appointment. Use our app to find books and DVDs, download digital video, music, audio and eBooks, get directions to our libraries, register for programs and classes, and more!